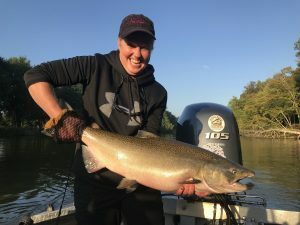 We are taking bookings for 2019 Spring Steelhead and Summer Brown Trout charters at this time!!! 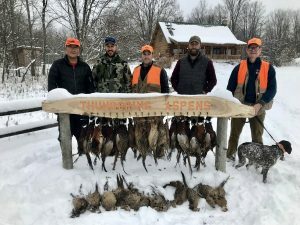 We can also do Spring bird hunts at Thundering Aspens from April 1st until May 10th, come up and get your ultimate outdoor fix!!! Peak times book up 4-6 months in advance. If you know when you would like to fish, the sooner you contact us the better. 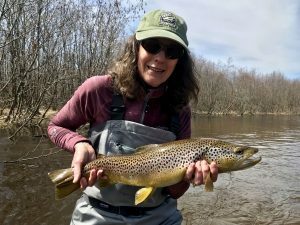 Full day- $400 without a lunch or $425 with a lunch for 1 or 2 people, that is 7-8 hours of fly fishing or spin fishing which includes: use of rods, reels, flies, gear, tackle or any instruction you may need. It is an additional $50 for a 3rd person. Half day- $300 for 1 or 2 people, that is 4-5 hours of fly fishing or spin fishing which includes: use of rods, reels, flies, gear, tackle or any instruction you may need. It is an additional $50.00 for a 3rd person. Cast & Blast- Call for pricing, this is a 1/2 day of guided fishing and a 1/2 day of upland bird hunting. You must provide your own gun, shells and Hunter’s Orange. These trips are from Sept 1st thru the month of December. 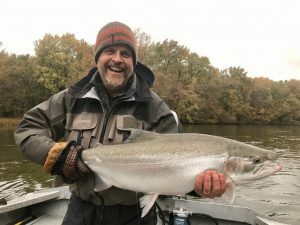 It just doesn’t get any better than fishing for Salmon or Steelhead in the morning and hunting Grouse, Woodcock or Pheasants in the afternoon. 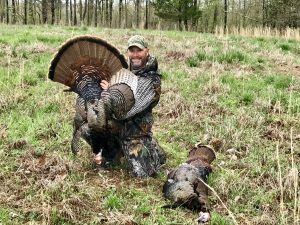 Spring Turkey Hunts– $250 per person, this is for the month of May only. Deposits are $200 a day, due 60 days before the trip and are non refundable but can be used towards rebooking at a later date. Methods of payments are check, cash and all major credit cards. All credit card charges will have a 5% processing fee added to the total. Gratuities are usually 15-20% of the guide fee. This is based on your Guides knowledge of the rivers, fishing and of course a good time, not the amount of fish caught. Multiple boat trips are available.